East Belitung is part of Bangka Belitung Province. It is the home of many districts including Manggar. In Lalang Village, you can find a stunning beach called Keramat. It sounds unique, doesn’t it? Keramat means “sacred”. Despite its name, the beach holds many beautiful features. Today, it becomes a top destination for relaxation. Though, the beach isn’t suitable for water sports. It is because the waves are strong. The best part is the soothing wind. It makes a perfect place to relax. Some rocks are scattered on the shorelines. They make a unique mood. Another distinct characteristic of the beach is its wind. It is considered strong and unsafe. Due to this reason, you should not try to swim in it. The sand is brownish. 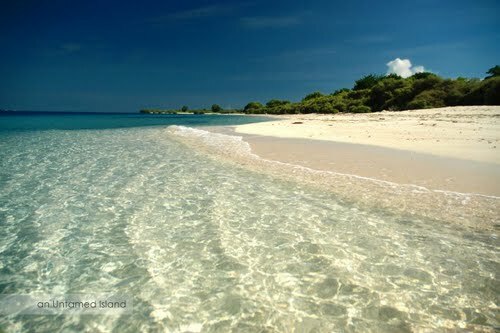 In terms of appearance and atmosphere, the beach is similar to those of the South Java’s. Despite the strong waves, the seashore is safe for beach walking. In a nutshell, the beach emits a rougher ambiance than other Belitung’s shorelines. Even though the local government doesn’t take a good control over Keramat Beach, tourists keep coming here. It emits natural beauty. The locals come to the beach to sell several snacks and drinks. They make money from such tourism activity. In terms of charm, Keramat is similar to other beaches like Bukit Batu, Burung Mandi, and Nyiur Melambai. In the seashore, you can find several granites. You are allowed to sit on them, too. Those rocks are slippery, so you must wear good footwear. Keramat Beach has calm waves and shallow water. On top of that, the sand is soft and white. It is possible to swim in it. Do you like fishing? You can do it here, too. Even though the fishes aren’t many, you can still enjoy it. Plus, the atmosphere is breezy. It gives you a comfortable mood. Keramat is an unspoiled beach. That means you won’t find any flaws. As long as you don’t litter, the beach remains natural and pure. Another attraction is the history. Keramat Beach consists of numerous granites. In the past, people often came here to conduct rituals. In fact, the beach becomes the home of four gravestones. No one knows whose tombstones those are. The presence of unknown tombs creates a mystical ambiance. Though, many people don’t get bothered by them. As for precaution, tourists should do careless acts near to the tombstones. That’s all. Keramat Beach belongs to Manggar District. To be exact, it is located in Lalang Village. From Tanjung Pandan City, the distance is about 80 km. When it comes to transportation, you can use either an ojeck or a rented car. The best choice is a car, though. You can rent it in hotels or tourist agencies. No worries. You can even hire a driver. He has both the knowledge and skills regarding the routes. Once you reach Manggar, you can directly head to the Beach!